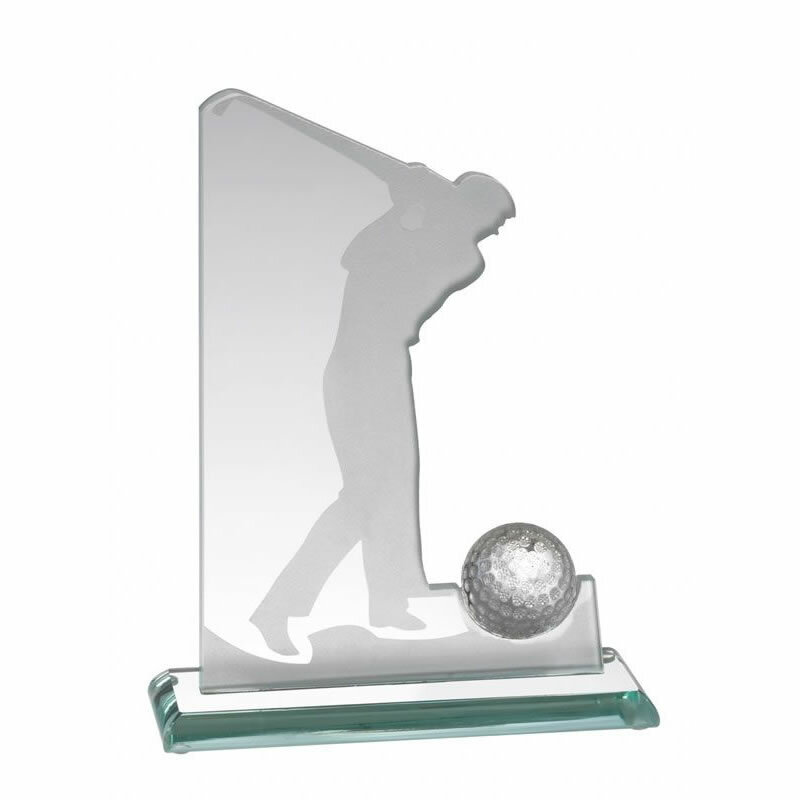 These glass golf plaques are offered at a competitive price for such a quality award. Standing 8.5in tall they feature a flat glass plaque cut on one side with a silhouette figure of a golfer in full swing. This figure is also outlined in frosted glass. At the foot is a glass golf ball and the plaques are mounted on a bevelled glass base. They can be engraved on the flat front of the plaque.